By providing the funds for Mary to purchase non-consumable products to stock her store, Point Hope helped her and her daughter to live without dependency. 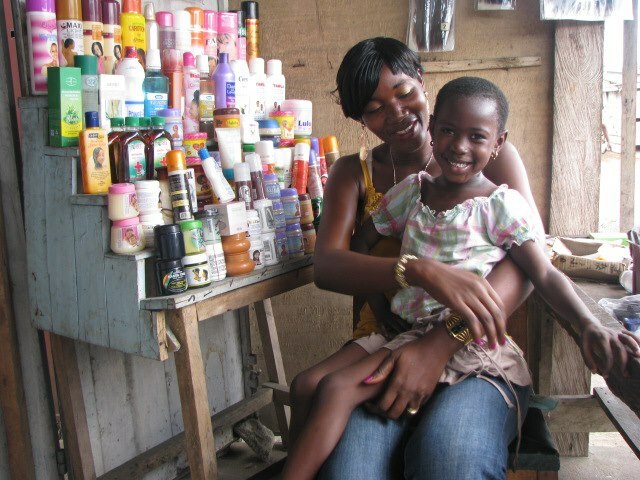 What does it mean to be an entrepreneur in Ghana? Someone working on their own, providing sufficient income to support themselves and their family for a sustainable future. At least that is Point Hope's description. Maybe we train people to have a skill and then to be an entrepreneur (read Rose's Story), or maybe Point Hope provides the capital through a microloan or a grant to begin a small business which will allow a family to be self-sufficient and have the pride of accomplishment.